TolkienGuide.com - TolkienGuide T-shirts for Tolkien 2019? TolkienGuide T-shirts for Tolkien 2019? I am thinking of making a shirt design or two for myself to wear at the Tolkien Society shindig in August. Is anyone else interested? I have the site logo shirt (black ink on red shirt, red ink on black shirt, other combos possible too) and might actually try my hand at actual art, too. Just for fun, and not for profit. (That's a generic model pic, not me). Building a Paypal shopping cart here - let me know if you have any questions or issues. Note that the PayPal cart currently only lets me charge the $5 shipping on every item. If you order more than one shirt, it will charge you too much, and I will refund the excess shipping manually. Sorry about that! 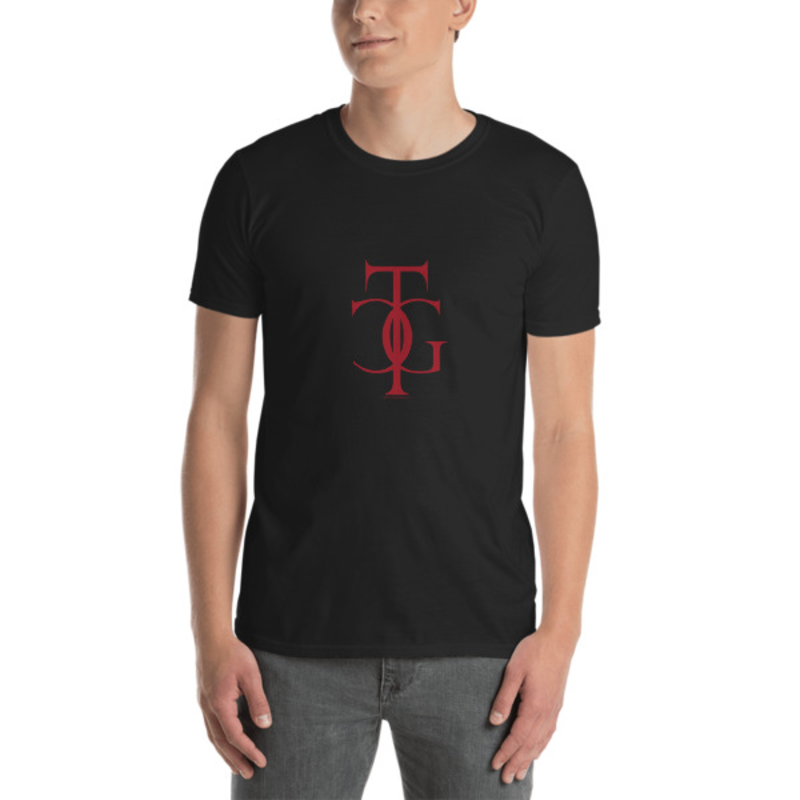 Unisex T-Shirt - Red logo on Black. Women's fitted T-shirt - Red logo on Black. Thanks. Worked as you described..